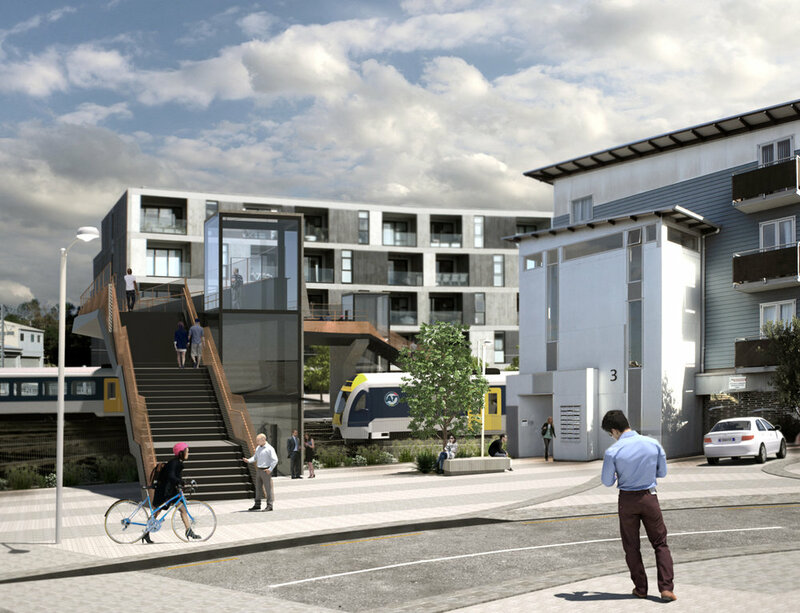 Mount Eden train station will be enlarged and re-developed. Post-CRL construction, land acquired will provide the potential for more than 100,000sqm of residential and commercial investment. The bigger Mount Eden Station will cover both the existing Kingsland to Grafton line and new CRL Mount Eden to Karangahape Road line. The present train station is on Mt Eden Road near Eden Terrace/Symonds Street. The main access to the new station for the citybound platforms will be at Ruru Street. Earlier CRL plans were for an underground Newton Station around Symonds Street. In 2014, Auckland Transport announced a change in plan - to redevelop the existing Mt Eden Station and connect it to the City Rail Link rather than build a station at Newton. We've created a fly-through video (below) so you take a journey through the new Mt Eden Station. Here are a few things to keep an eye out for when you take the tour. The station will look completely different from the present platforms which are accessible from a footbridge from Mt Eden Road. The main access to the redeveloped station for the city-bound platforms is at Ruru Street and a new Fenton Street to Ngahura Street overbridge. 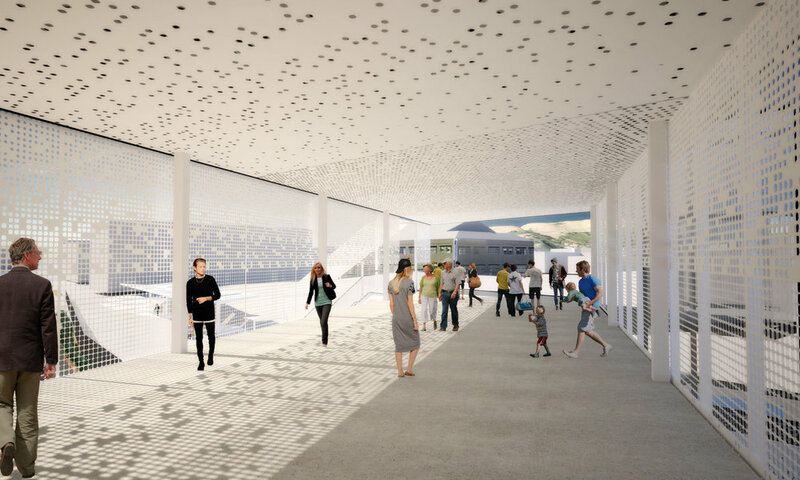 The cultural design will extend from the forecourt, through the station and across the new connecting bridge between the platforms for the CRL and existing western line (officially known as the North Auckland line). Basalt stone cladding will be used from floor to ceiling to represent the Mt Eden cone and crater and the pa terraces, with similar designs on the paved area. Also under consideration is a new water feature on the wall, seen on the right of the image using water from the nearby reopened natural spring. Mount Eden's railway station opened in 1880 - one of the original stations on the Northern Line. In 1912 the island platform was established and a station building built. The original station building was removed in the 1990s and the station upgraded in 2004. While the station is called Mount Eden, it is not in the Mt Eden Village but is closer to Eden Terrace/Symonds Street Newton. The Newton area has generally been known as Te Uru Karaka after a significant grove of Karaka trees growing in the area in pre-European times. The area is also associated with a spring known as Te Ipu Pakore. Before the 1870s there were several brick works in Newton Gully. As the nearby industry increased, the farm properties in the valley were subdivided and became working class communities. Plans showing the early ownership of land within the area reveal that there were multiple purchases of allotments by wealthy individuals, many of whom were hoping to make a quick profit on speculative deals. By 1850, a number of well-to do houses dotted the landscape, establishing it as a recognisable and fashionable residential area. The junction of Upper Symonds Street, Newton Road, Khyber Pass and Mt Eden Road soon developed into a hub of shops and services. The area expanded with the advancement of industrial and commercial enterprises following the revival of the economy in the mid 1890s. Along with this was the constant upgrading of the roads necessitated by the arrival of the horse-trams in the 1880s and electric trams from 1902. Around the same time an infrastructure was established to support that community, evidenced by the appearance of churches, hotels, schools, banks, a post office, fire station, halls and other public buildings. Large properties bought in the early decades were subdivided for suburban development. The slopes of Newton, during the latter part of the nineteenth century, were an intensely developed small suburb of wooden houses. Situated between the retail areas of Karangahape Road and Symonds Street, Newton was a fairly densely populated area, mainly of a working class nature with many boarding houses. Until the construction of the motorway system in the 1960s, the gully area was the location of several primary and intermediate level schools and about six churches. In the 1950s, it was decided that Auckland needed a motorway, and the best path for it was right through Newton Gully. Older residential areas identified as developing into "slums" were removed to create a passage for the motorway. After the motorway was cut through, much of the remaining housing stock was utilised for light industrial use and often rebuilt for factory and warehouse uses. Since the 1990s there has been a reverse trend of rebuilding in the area. The remnants of Newton soon turned from residential to commercial and the old houses were pulled down, replaced by commercial buildings. Other industrial buildings were converted for residential use including some turned into apartment blocks. While the motorway may have eradicated the old residential, suburban Newton, a part of old Newton remains in the surviving villas, the street names and the old bluestone kerb stones. Slowly over the last fifteen years, people have started living in Newton again, especially in apartments and townhouses.